This morning was goodbye to the family and take Debuse to the San Jose Airport by noon for her flights home. 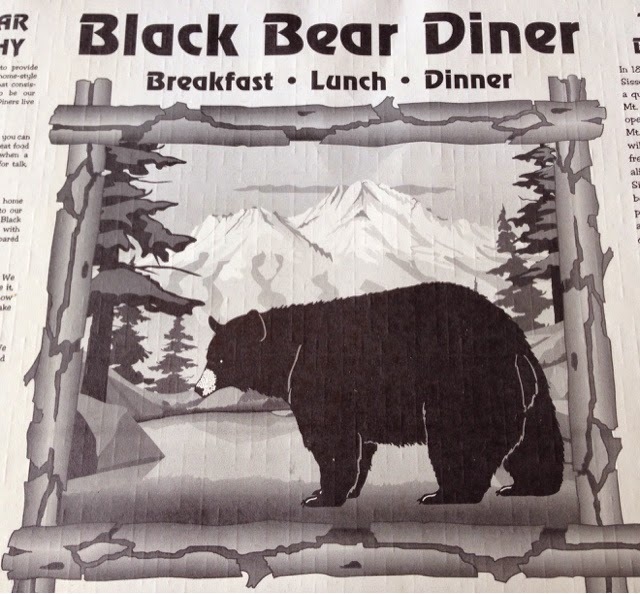 We stopped at this Black Bear diner on the way. This is my first time going to this chain and it was good although the service could have been just a tad more intentively to our booth. 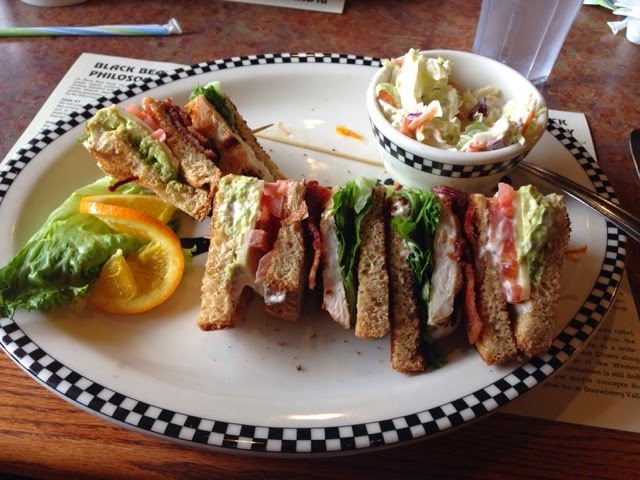 I had this club sandwich. I like the avacado they put on meals out here. The heavy rain from overnight was ending leaving random showers in the wake. The rain was big news for the drought that exists here. My travels would take me over 600 miles today to my overnight stay at BLM land in Havasu, AZ. I had thought of visiting San Francisco but the continued showers and no specific plans on what to see I chose to skip it. I have seen all the major tourist items in SF but possibly I can find out some other interesting places to visit in the city for a future trip. 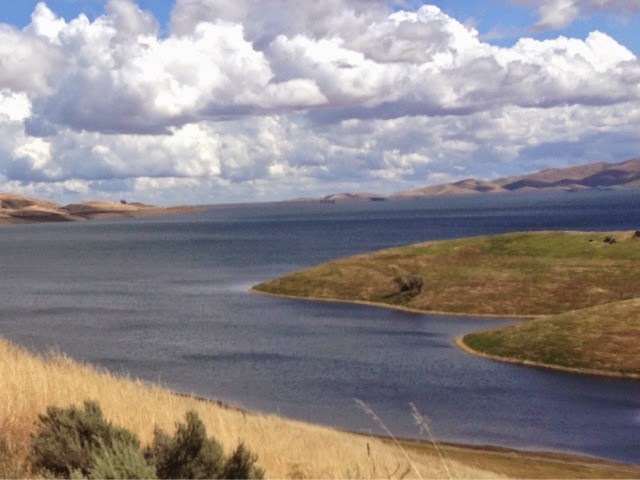 Cutting over the small ridge of mountains that separates the valley US101 is in to the I5 you pass this reservoir. Although it doesn't look it the water is way down. 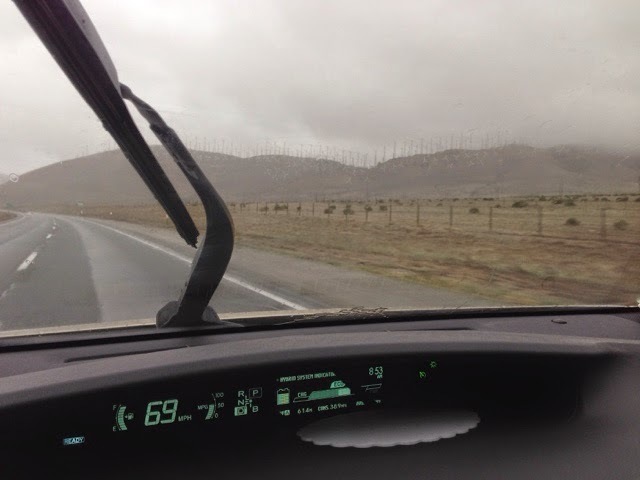 I continued to cut across the state going west until I got to CA 99 to Bakersfield. My backup plan for staying the night was Bakersfield at the county park I stayed before, but with showered still in the area and still feeling ok to drive for many more hours I pushed on. 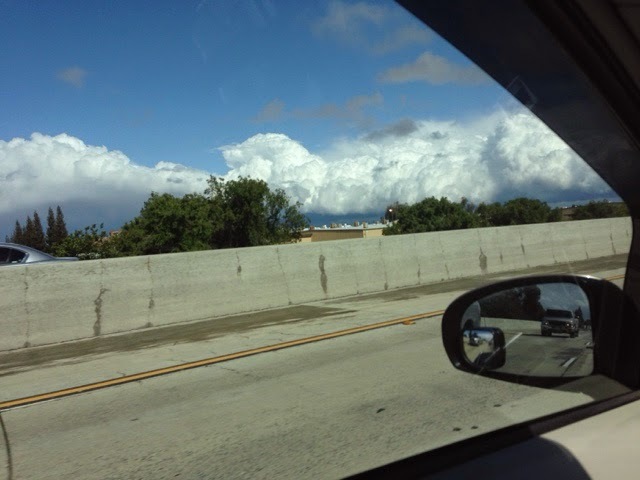 I was just behind the rain front that left hail and traffic accidents. 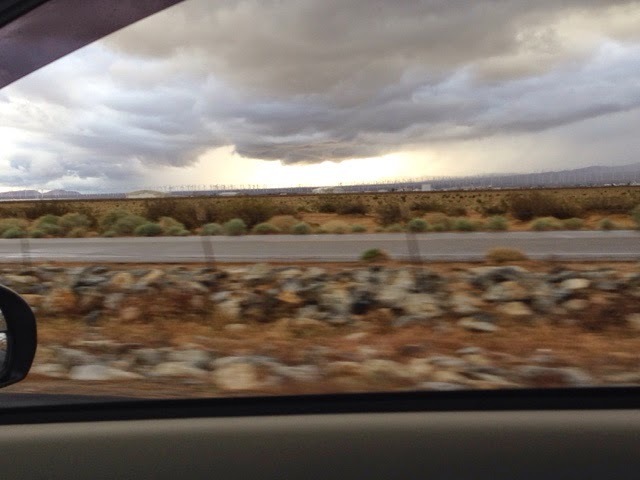 As I turned towards Barstow, CA I climbed these mountains and drive through heavy rain. 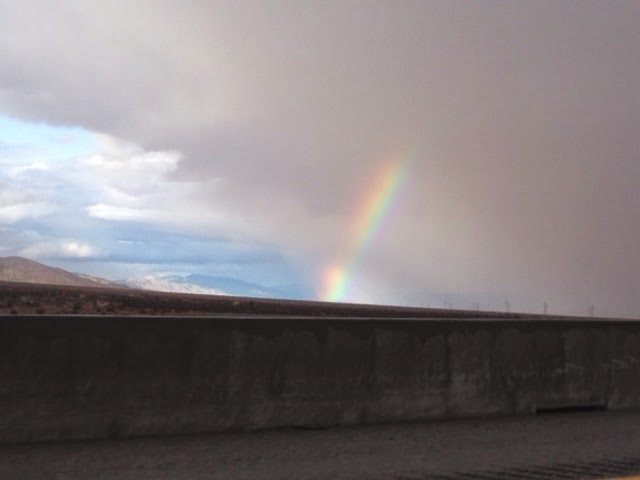 On the other side in Moave, CA I was treated with this rainbow and getting ahead of the rain. As the sun was setting I still had a few hundred miles to go arriving in Havasu at 10:00 pm. I caught this interesting cloud associated with the weather coming through. Today they will get some wet snow at home in MA. Still not yet time to get home. I hope by May 1 its done for my arrival. My plan now is to stop at some sites in the four-corners area for a few days. Debuse? I didn't realize Mom had a new nickname!